Circulation of dry, cool air is critical for engine performance, longevity and safety. Delta “T” Systems said it offers a single comprehensive source for all the components that make up an engineered system. 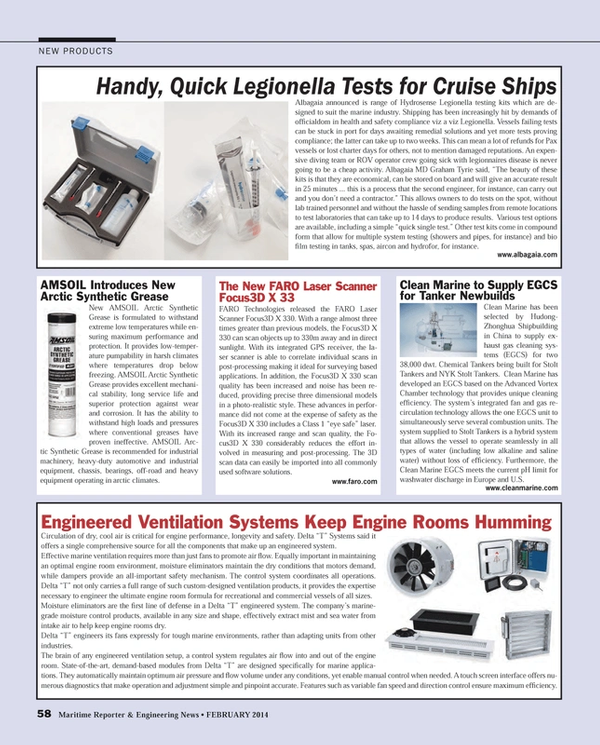 Effective marine ventilation requires more than just fans to promote air flow. Equally important in maintaining an optimal engine room environment, moisture eliminators maintain the dry conditions that motors demand, while dampers provide an all-important safety mechanism. The control system coordinates all operations. Delta “T” not only carries a full range of such custom-designed ventilation products, it provides the expertise necessary to engineer the ultimate engine room formula for recreational and commercial vessels of all sizes. Moisture eliminators are the first line of defense in a Delta “T” engineered system. The company’s marine-grade moisture control products, available in any size and shape, effectively extract mist and sea water from intake air to help keep engine rooms dry. Delta “T” engineers its fans expressly for tough marine environments, rather than adapting units from other industries. The brain of any engineered ventilation setup, a control system regulates air flow into and out of the engine room. State-of-the-art, demand-based modules from Delta “T” are designed specifically for marine applications. They automatically maintain optimum air pressure and flow volume under any conditions, yet enable manual control when needed. A touch screen interface offers numerous diagnostics that make operation and adjustment simple and pinpoint accurate. Features such as variable fan speed and direction control ensure maximum efficiency.